Roofing, Shingles, Roofing contractor, INstalling new shingles. Like most products roofing has a shelf life. If properly installed and ventilated, most asphalt roof shingles should out last the warranted life span listed. But there are several things that can limit a roofs life and there are ways of telling if it’s time to consider having some work done to your roof. The age of the shingles. You will find many shingles will perform for 5-10 years longer than the listed time on the warranty, but after that date it is best to keep an eye out for problems. Shingles installed over existing shingles will not last as long as if they were installed on a single layer. Look for any places where the roof surface dips or sags, this is a sign of rotted sheathing and it is usually caused by mold due to roof leaks. Don’t jump ahead and assume you need a new roof if you have a leak. Insure that the problem is the roofing and not gutters backing up or downspouts clogged with leaves and pine needles. Contact us on line or at 781-826-2577 to have your roof inspected and options for new shingles. Almar Building & Remodeling Co (Hanover Ma). As a third generation family owned and operated company for over 50 years Almar Building has all the benefits of a small company with the options of a larger company. 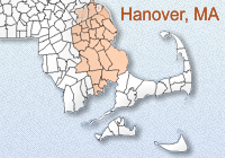 From Additions, Kitchens, Bathroom, Basement Renovations, Siding, Windows, to Doors Almar services the entire South Shore of Massachusetts including: Hanover, Hingham, Pembroke, Norwell, Scituate, Cohasset, Duxbury, Hanson, Abington, Rockland, Holbrook, Braintree, Weymouth, Milton, and many more towns. “How to tell if you need a new roof?